Torrents are very popular for one simple reason; they allow users to share large files over the internet easily without overloading the servers. Over the years, torrents have become the preferred way to share movies and games. Right now, there are hundreds of torrent websites on the web. If you’re new to torrents or just generally looking for the best torrent websites, keep on reading. Knowing about which torrent websites to visit is important. Firstly, the dangers of viruses and other harmful codes that can affect your computer is real. Public torrent websites are crawling with them. One wrong download and you can infect your computer. So, trustable torrent websites with the least amount of spam is important to know about. And secondly, torrent websites come and go. You need to know which ones are active among the list of best torrent search engines. Bit Torrent is a way of transferring files over the network. It uses Peer-to-Peer (P2P) method of distributing files which involves multiple users sharing files simultaneously. Typically, whenever you download something like a movie from the internet, it downloads from the server which is hosting that file. But in Bit Torrent, participating users share pieces of that file. It is a decentralized network which does away the need for any server to host the file. Users sharing (uploading) the file are called seeders. Likewise, people downloading are called leechers. So, the more seeders in the swarm, the faster the file will download. The movie will finish downloading when all parts of it have been downloaded. Bit Torrent entirely depends on users hosting files. So, if a torrent has zero seeders, you will not be able to download it. This is another reason why knowing about the best torrent search engines is important for a good torrenting experience. 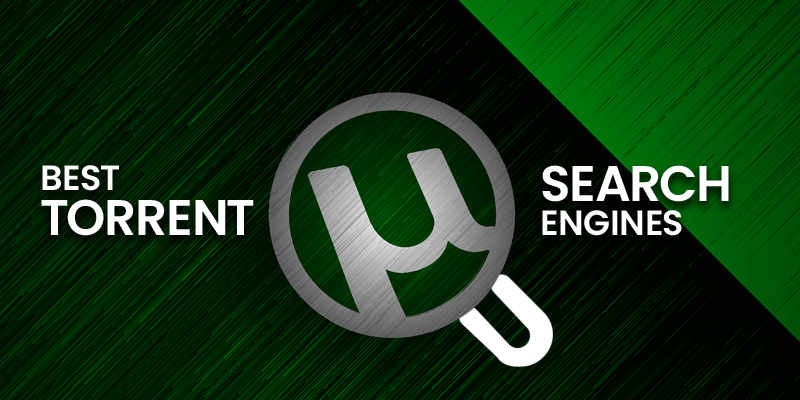 We have compiled a list of some of the best torrent search engines. These websites feature up-to-date content and have plenty of content. 1337x.to (read as ‘elite’) is one of the oldest torrent websites. It has different mirrors but main website is 1337x. 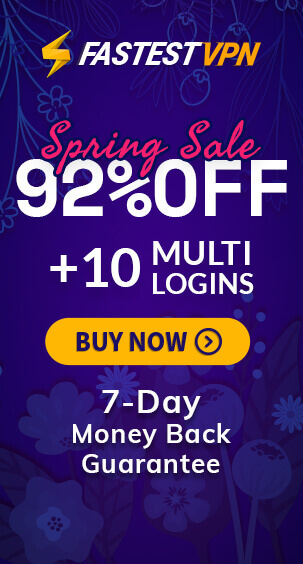 It features one of the largest collection of content among the best torrent websites. On the homepage, a search bar makes it easy to lookup torrents without having to find it in categories. Speaking of categories, there is Movies, Television, Games, Music, Applications, Anime, Documentaries, Other, and Adult categories. It is one of the most active torrent websites, so finding seeders is not an issue. Torrentz2.eu does not host content itself. Instead, it lets you search for torrent files available on other torrent websites.It covers over 60 million torrents and 79 domains at the time of writing this article. Visit the website and it will pull up all the relevant torrents from various websites and present in a grid view with details like torrent’s age and seeders/leechers available. Torrents.me is a popular one. It features a very simplistic yet informative layout. 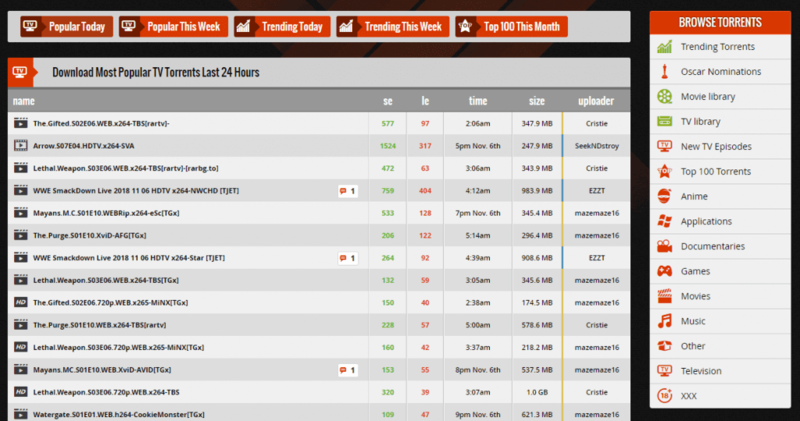 The home-page has details like the top trending torrent searches and their performance over a period of time. Then a list of top torrent sites based on Movies, Music, Games, Books, Applications, Anime, and Sports. Type in your desired torrent in the search bar and it will collect all relevant torrents. You may not have heard of this one but XTORX ranks as one of the best torrent search engines. But we’ll let its claim of being the “fastest torrent search engine in the world” to your imagination. The website is actually completely barren, it does not host any content, and only a search bar occupies the home-page. This one is similar to the one above. It’s a torrent search engine, not a torrent website. Use the search bar to gather links from across torrent websites. Torrentz.colorask is an alternative to torrentz.eu search engine. Sounds like Google, right? That’s because Toorgle designed to be the search engine for torrents.The idea is simple, you just visit it like you would Google and type in your query. The search engine will then compile a list of relevant torrents from websites it’s tracking. It currently has 450+ torrent websites indexed. Torrentseeker pretty much defines itself when you visit it. The torrent search engine claims that it frequently updates site index, latest site index, and niche and foreign language torrent websites as well. So, if you’re looking for Japanese-dubbed anime, give TorrentSeeker a shot. RARBG is technically a torrent hosting website. It’s one of the popular one, so you can expect to see heavy activity and the latest movies, TV shows, and games. 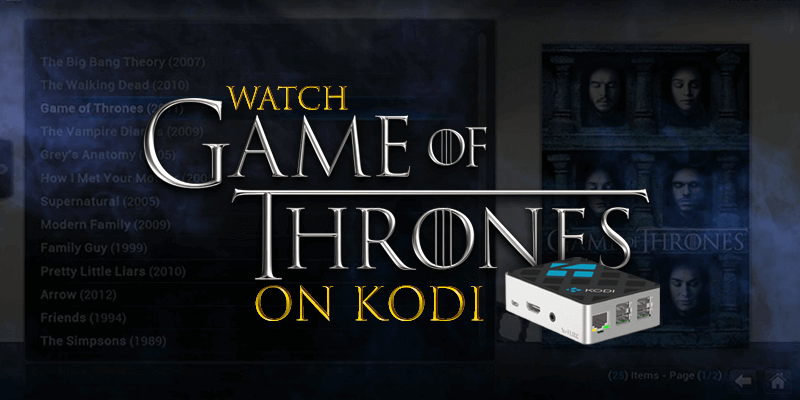 Torrents are divided into Movies, TV Shows, Games, Music, Software, and explicit content. Remember this one? It used to be one of the top three torrent websites few years ago. But the constant battle with legal authorities eventually go to it. ISOHunt is still running after these years but far from the active website it used to be. It now requires you to download its bit-torrent client to access the torrents. Choose torrents from Movies, TV Shows, Music, Games, Apps, Anime, and more. It’s a very active torrent search engine. It, however, does not host torrent files. Here’s another reliable torrent search engine for this list. At this time, the Torrent Project has more than 10 million live torrents in its database. 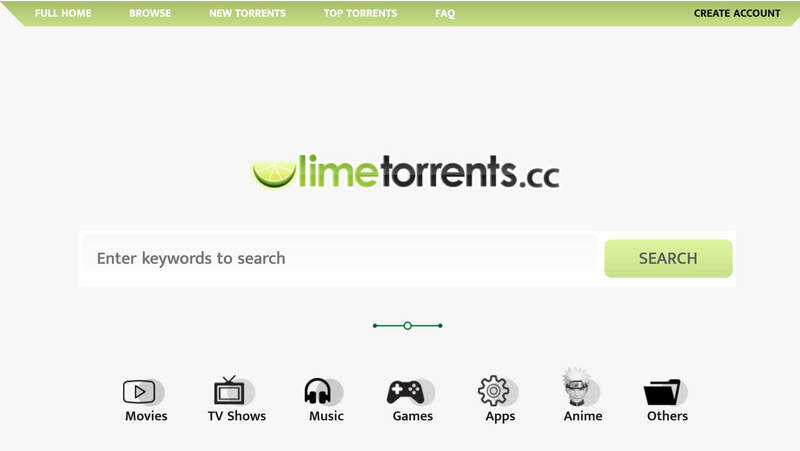 Again, this is not a torrent hosting website but a torrent search engine. 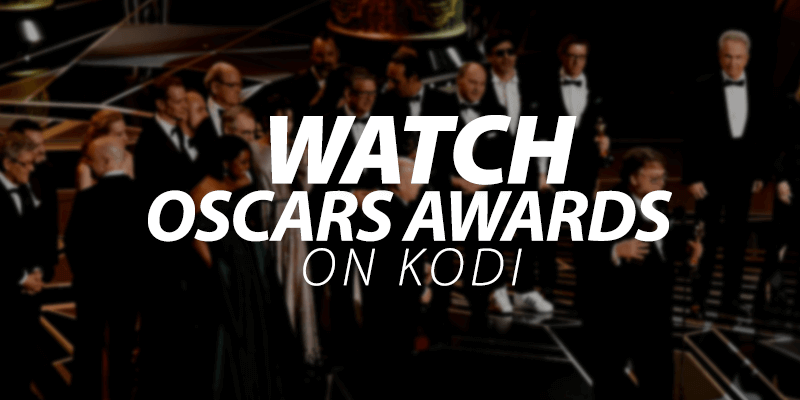 It grabs torrent links from more than 300 torrent sites across the internet. It’s simple-to-use and reliable. Give it a go. In addition to a search bar which occupies the home-page, MyTor lets you lookup torrents by categories like Video, Audio, Software, Games, Ebook, and much more. So if you don’t have something very specific to search, you can navigate through list of movies in a particular category. 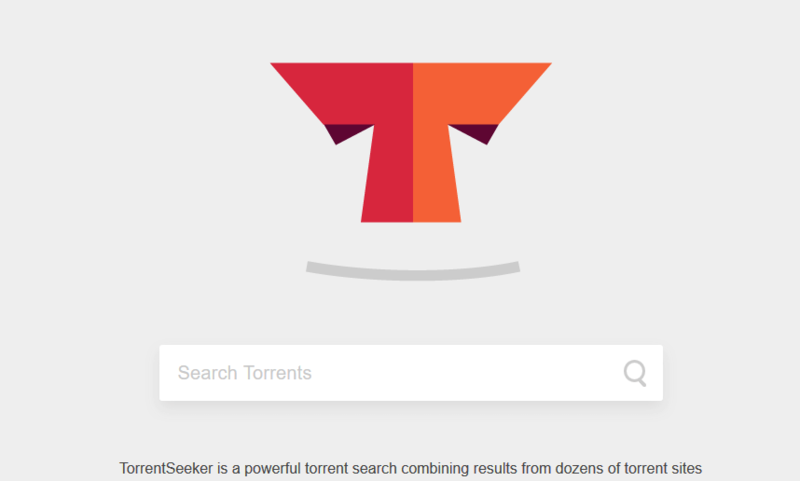 This best torrent search engine has over 23 million torrents in its index. That’s plenty for you to scour through. Torrent searcher lets you lookup torrents from popular websites like The Pirate Bay, Lime, Kickass, Monova, and many more. It has been around for years now, so it’s reliable in that regard. The moment you land on Aio Search, you realize that you’ve probably landed on some goldmine. The home-page throws more than two-dozen torrent websites at your website. You can check and uncheck the website you wish to omit out of your torrent search. In addition to searching for torrents, you can search from file sharing and streaming websites as well. You might be working reading the title, why do you need VPN for torrents? It turns out that VPN is very important. In a perfect world, the ISP is not monitoring and recording user-activity on their network. But the reality is not so idealistic. In fact, the ISP has full authority to monitor online activity and report illegal activities. Although Bit Torrent is perfectly legal, it has become synonymous with piracy. VPN assumes control of your internet traffic. The ISP effectively cannot track your online activity because it’s not visible to a third-party. Furthermore, VPN encrypts incoming and outgoing traffic, making it even more difficult for hackers to steal personal data. Torrents are a hub for copyright infringement. Even if the torrent search engines are merely allowing you to search for torrent links not hosted on their website, they are facilitating the use of illegal content. So, you need to secure yourself with a VPN even if you’re just browsing torrent through these torrent search engine. Be very careful when it comes to torrents. The list here represents some of the best torrent search engines. Some of them host content but most of them rely on links gathered from other torrent websites. It’s actually a safe way for them to continue operating without the full force of the DMCA working to take them down. As years pass, you will see torrent websites come and go. But right now, if you want a torrent fast and from reliable sources, refer to this best torrent search engines guide. And don’t forget to use VPN while you’re at it.